Sometimes a typical holiday can be pretty indulgent and tiring, so much so that you feel in need of another retreat as soon as you get back. Instead, why not set aside some of your holiday funds for a restorative and invigorating break at one of the beautiful wellness centres around the country. There are so many stunning destinations around Ireland providing an opportunity to recharge and focus on your body and mind, whether you want a solo break away or want to bond with a like-minded pal. Here are some of the locations on our wellness wishlist for 2017. 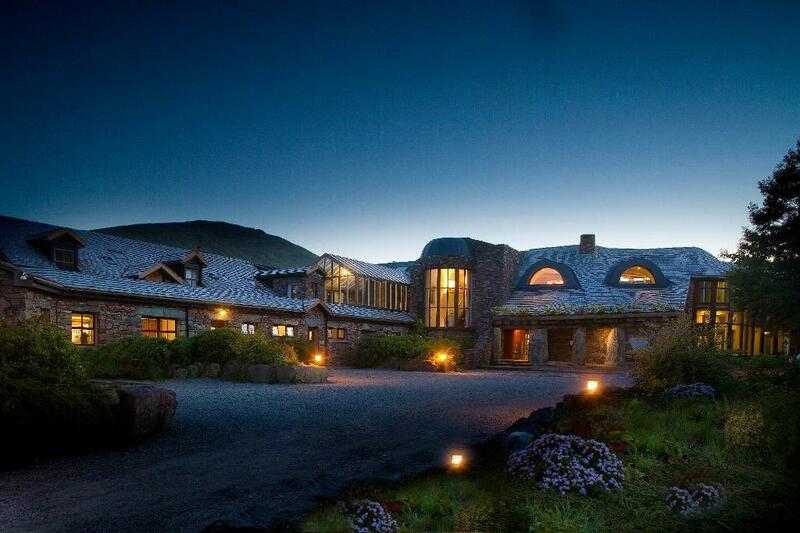 The beautiful location of Coolattin Lodge makes this a truly special destination for a yoga retreat. The accommodation is rustic and spacious, making it the perfect place to unwind and the stunning old carriage house is an atmospheric room for yoga. The Courtyard offers retreats throughout the year, usually priced at €395 for two days, that include yoga alongside topics such as mindfulness, raw food, athlete-specific retreats and overall wellness. The two night Love Yoga Weekend with Kenneth Ryan runs from February 10-12 at Delphi Resort. Promising to destress and rejuvenate the body, mind and soul, this weekend is like a warm and cosy hibernation in the beautiful wilds of Galway. The package includes accommodation in a four star hotel, a breakfast smoothie or juice, light lunch and a three course evening meal in The 814 Restaurant each evening. There will be daily yoga, relaxation and meditation sessions with Kenneth Ryan, and you can also avail of one spa treatment worth up to €50 per person or a seaweed bath, as well as two hours in Delphi Spa’s thermal suite. The package costs €399pps and a single supplement is available. Book before Monday January 9 for an early bird rate of €349pps. If you want to embrace mindfulness to calm the thoughts in your head and learn to stay present in the moment, Creacon Lodge Wellness Centre has various teachers offering courses that could suit you in an intimate, homely atmosphere. They offer a variety of courses and classes which may work for someone living locally, or for a retreat, head to one of the mindfulness workshops. Colette Savage is running a one day Mindfulness For Wellbeing workshop on January 28, running from 10am to 4.30pm, which costs €70 or €60 without lunch. For an overnight stay, Colette is running a similar retreat on February 4 and 5 which costs €190 including accommodation and full board, or opt for one day for €80 including lunch. Linda Champ of Linann Yoga is running a Spring Into Life Holiday based at the five star Park Hotel in Kenmare from March 3-5. The weekend includes different styles of yoga, from relaxing Yin yoga, energising Ashtanga Vinyasa, as well as relaxation techniques such as Yoga Nidra. There will be a guided walk along part of the Kerry Way, and a serenity walk of Kenmare Bay. The weekend will suit all abilities, with the focus being on gentle movement and relaxation to awaken the body for spring. The weekend includes two nights B&B and dinner at the for €300 pps and €450 single occupancy. Dzogchen Beara is actually a Buddhist meditation centre, and this luxury yoga and nutrition weekend retreat is guaranteed to help you feel restored. The accommodation and activities will be in the beautiful and comfortable Dechen Shying spiritual care centre. The classes will suit all abilities and variations can be incorporated to suit, with classes in the morning, before lunch, and in the late afternoon, with a relaxing meditation after dinner. All the meals on the retreat will be prepared by the chef at Organico Bantry Rachel Dare, one of the cofounders of Cafe Paradiso Bridget Healy or chef at Deasy’s in Ring, Caitlin Ruth. The next retreat is on January 20-22, but keep an eye out for future ones taking place in spring, summer and autumn 2017. Room options vary starting from an ensuite twin room for €380 per person sharing. This is a beautiful setting for a yoga retreat that attracts guests from around the world. Accommodation is provided in a unique cabin, the food is wholesome and vegetarian and there is a sauna, hot tub and variety of massages available. 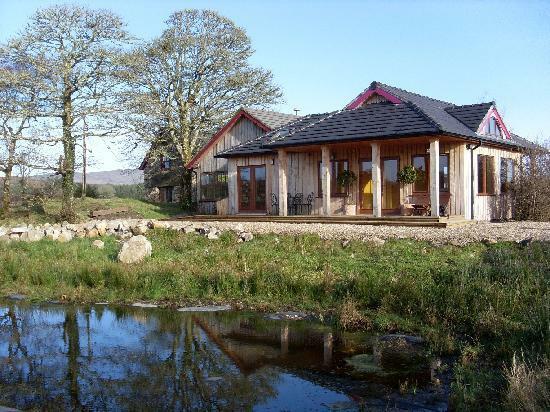 As well as special retreats throughout the year, there are packages that you can avail of any time of year, so there will be an option to suit you whether you want to head away for some time by yourself or with a partner or friend. For example, the Ultimate Escape package for two includes two nights accommodation, a soak in the hot tub, a massage, a welcome pack with breakfast foods and an organic vegetarian supper on one night, delivered to your cabin, for €195pps midweek or €225pps on weekends.